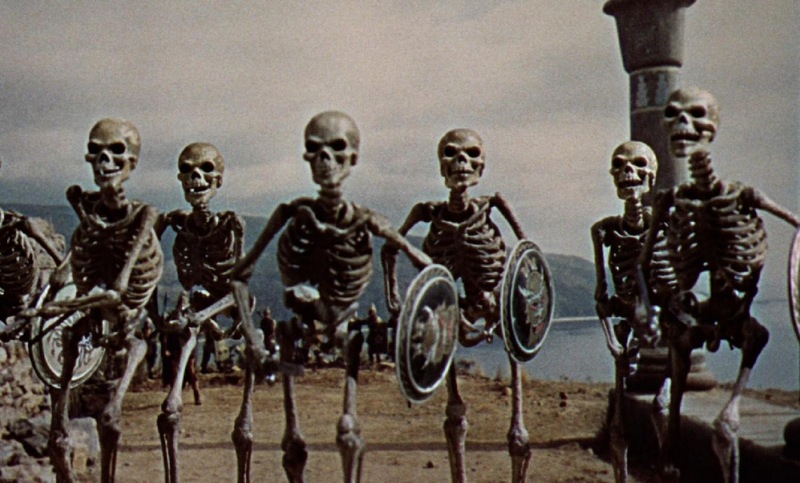 A new project based on the works of the late stop-motion wizard Ray Harryhausen is in the works after new materials were discovered from the Ray and Diana Harryhausen Foundation was announced today via Facebook. The project will be a joint collaboration with Morningside Productions, which was founded by late film producer Charles Schneer, who produced Clash of the Titans, the 1981 film that featured many of Harryhausen’s effects. The new project is tentatively titled Force of the Trojans, which will be based on a screenplay by Beverley Cross, with original production art and sculptures conceived by Ray Harryhausen. “Force of the Trojans will embody the spirit of the original Harryhausen films with all the fun, vibrant action, epic scope and dedication to craftsmanship that has made Ray Harryhausen’s films timeless,” the Facebook post read. The Harryhausen Foundation houses more than 50,000 artifacts from the artist’s 60-year career, but this is the first time a new project will emerge from its vast archives.